What’s Worse Than Black Flies On the Trail? 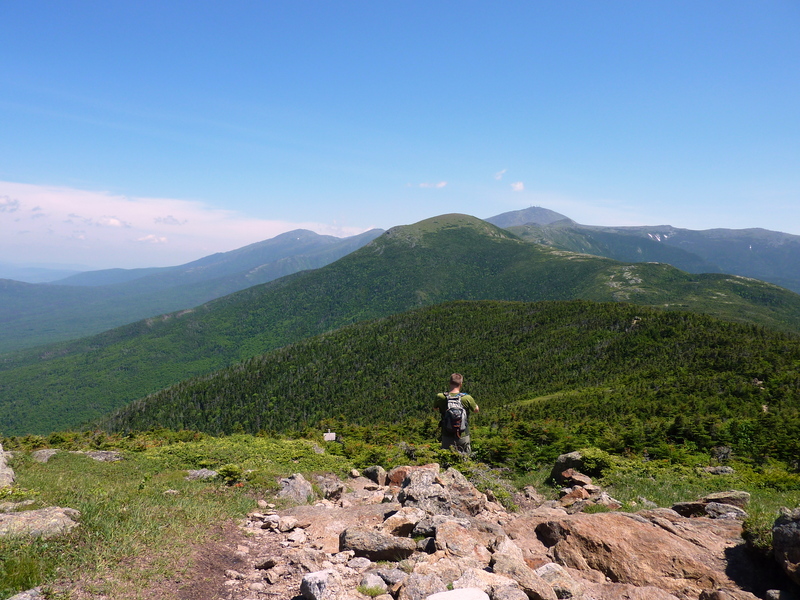 A beautiful June morning of sunshine and warmth would be ideal for a hike in the White Mountains. We decided on Pierce. We knew that the weather would call forth many on the trail, we just never expected the onslaught of people who would be out there. These hikers ranged in age from 4 to 90, some dressed for serious backpacking and others dressed for a Sunday outing, including one in white pants, and the manners of hikers ran the gamut from quiet, respect of nature and others to I can be as loud and disrespectful of your peace as I want. So what is worse than black flies on the trail? 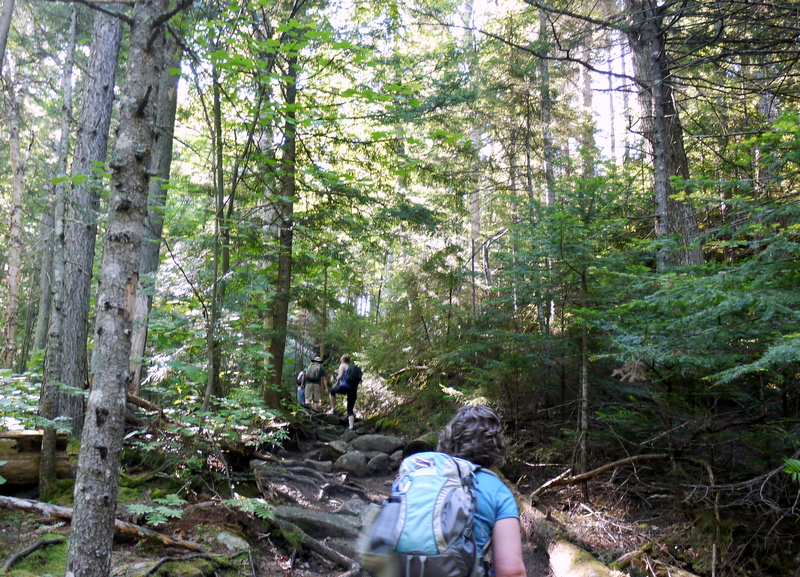 Rude people, especially loud inconsiderate hiking groups. We arrived at the Mt. Clinton Parking lot at 8:30 and the lot was already full, we found a little space to squeeze into, off of the parking area. We crossed over Mt. Clinton Rd to the Crawford Connector. We gradually climbed for .4 miles in a beautiful setting. 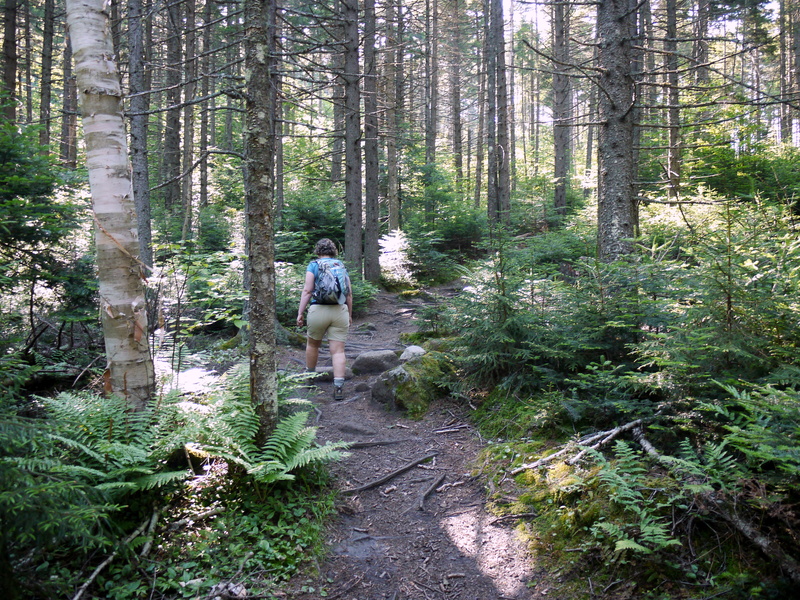 At the beginning the forest floor was dotted with budding pines that lined the wide trail. 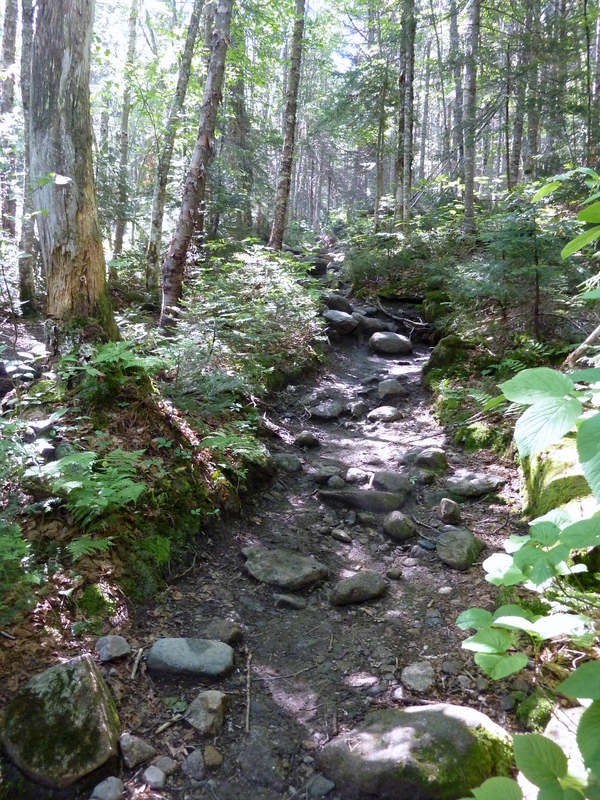 At.4 miles we reached the bridge that crossed over Gibbs Brook. This is where we had our first encounter with people. A group of three that we would jockey for lead position throughout the ascent, were enjoying some time at the bridge. If these were the type of respectful, fun and considerate hikers we would come across all day, it would be great being with like-minded people. 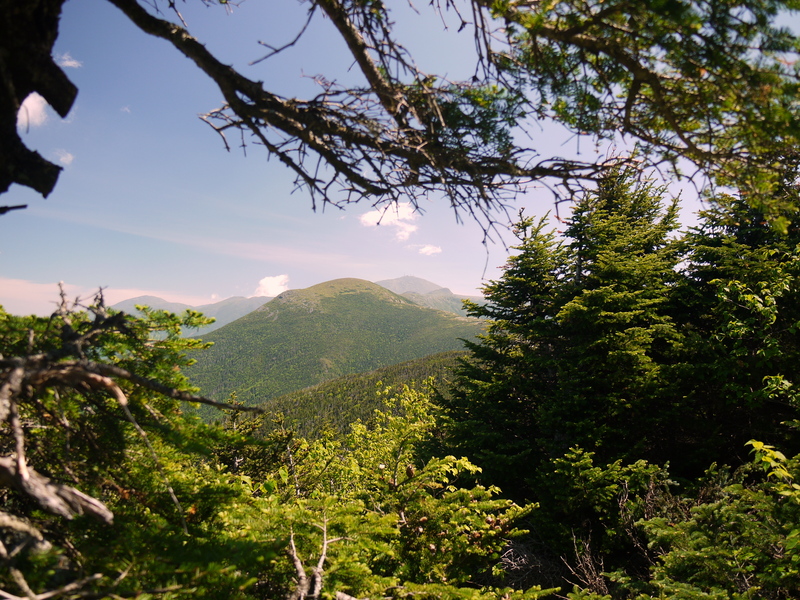 At this point we all turned on the Crawford Pass, following Gibbs Brook to our left. 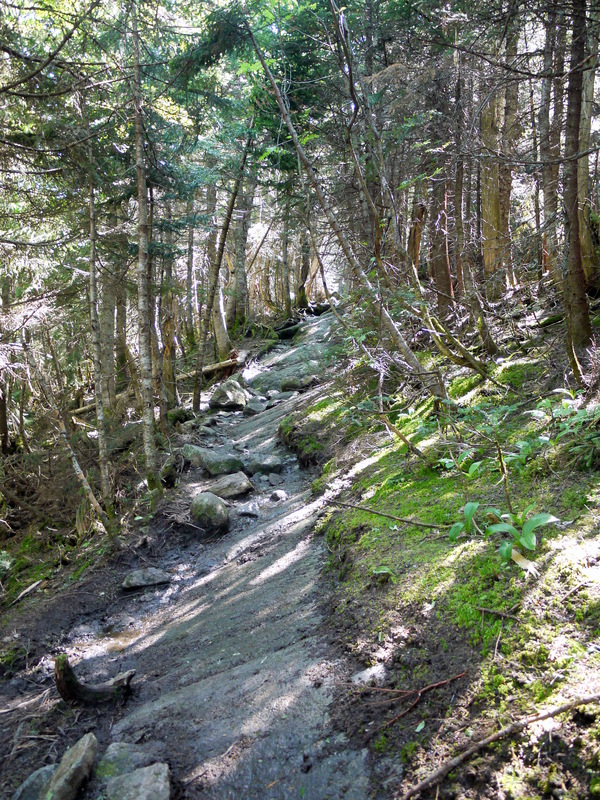 The trail was a gradually ascent up with few level areas to hike. When we came a level area, it was time for the body to rejoice. The ascents were not technical, nor did they requiring scrambling but they were unrelentingly continuous. A few people passed us I am a rather pokey hiker. These early morning hikers were enjoying the quiet and the beauty of the woods. If you needed to pass them, they moved out-of-the-way or if they were resting they were not sitting in the trail. 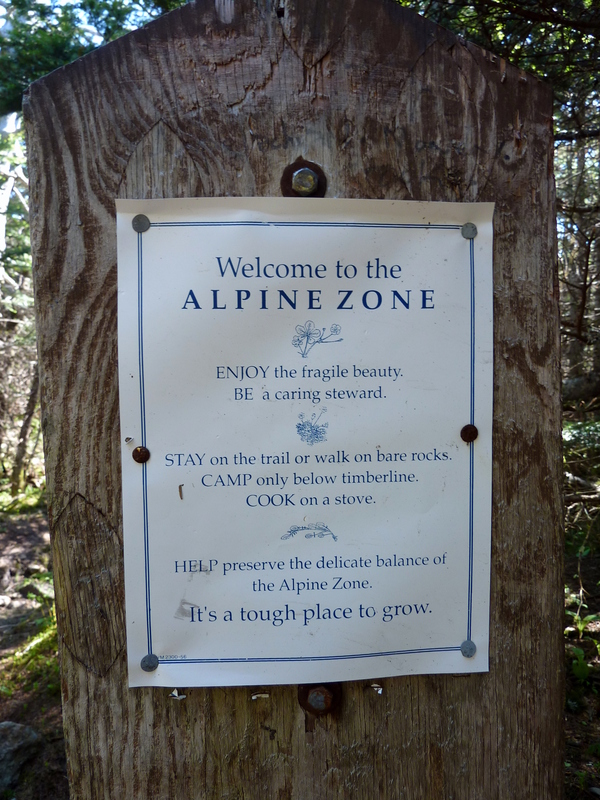 Around 3 miles we hit the official alpine zone sign. You could start to glimpse views of Washington and other mountains, the flowers were bursting with alpine pride and voices started to fill the mountain air as we neared the summit. We continued up the trail to find the official geographical marker that denotes the high spot, all of a sudden people arrived from every trail direction possible. Mike snapped a photo of a lovely couple, who in turn snapped our photo. The summit was full of people, so attempting a shot with only the mountains in the background was an unrealistic expectation. At this point people were quiet, allowing people to find their nature zone. It was a clear day with amazing views. We hunkered down on a piece of rock to snack and absorb the views. 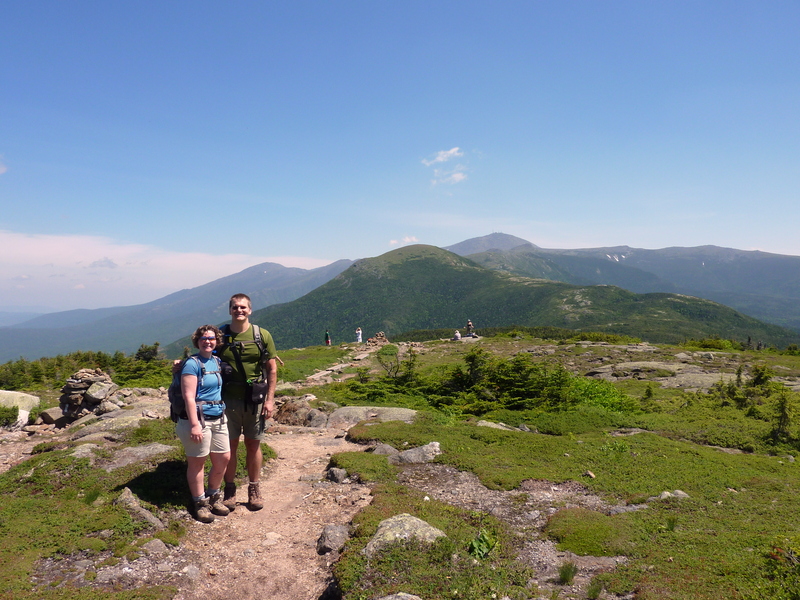 We were in close proximity to a woman, who was backpacking and she looked like an interesting person to chat with. Mike and I started to unpack our food, when all of a sudden a hiking group arrived and all peace and respect of personal space dissolved away. Two men stood right over us and started discussing hedge funds and other worldly nonsense, which we both strive to flee from on a hike. This beautiful backpacking woman was taken aback also, by the loudness of the group and their lack of respect for others. Even my extremely aromatic garlic bread, didn’t chase them away. Mike and I grabbed our stuff and looked for another spot to go to. There wasn’t much rock to claim as the group spilled over everywhere. We ate quickly, picked our stuff up and headed down to the sign, where there were not any people, just quiet and space. Here we could enjoy some time with our thoughts and just absorb the stunning views without clusters of people. Then it ended, another loud group descended upon us. So we decided to flee down the mountain. As we made our escape going down, we were assaulted by groups of people going up. Many, many people were kind, respectful and there to take in the gifts of the nature, but some were out for a big loud social time. We encountered a long line of boys going up with .2 miles left to go for them. They were friendly, polite and tired. It was a group of 29 fifteen year old boys with ten adults. The adults in this group had taught the boys excellent trail manners and I hope when they are adults they will instill in others those same lessons. So what is worse than black flies on the trail? People with no manners or sense of respecting other’s needs to be in the woods. 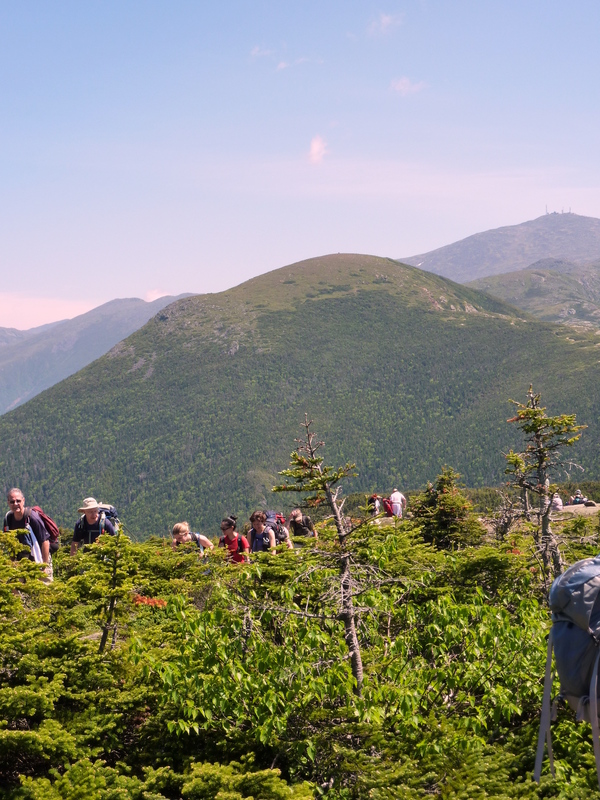 My simple recommendations, especially for large groups…have a sense of personal space, don’t crowd other hikers, keep your voice down, if you are standing next to the person you are talking with use a soft tone, don’t sit down in the middle of the trail if you need to rest and most of all pick up after yourself. 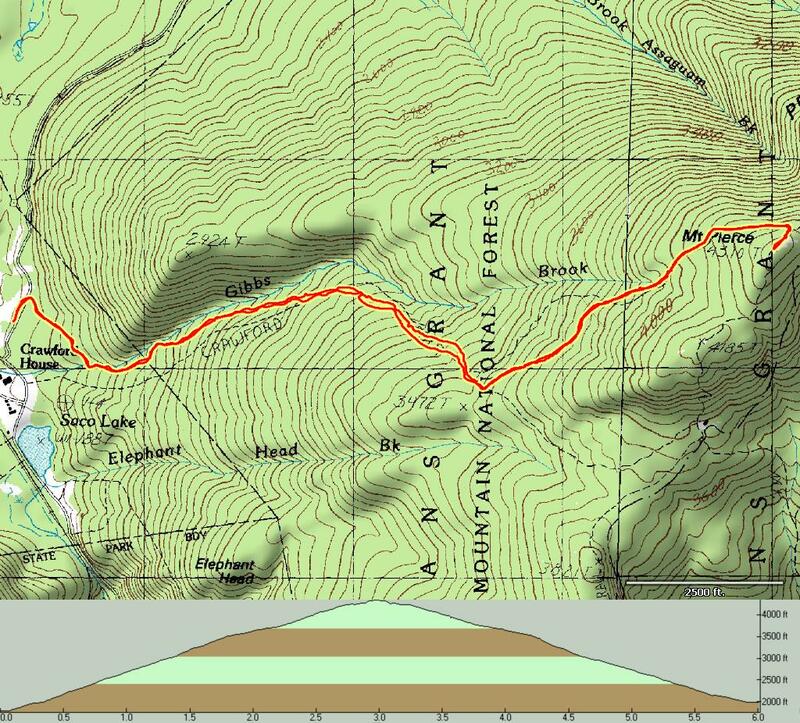 The details: This was an out and back, using the Crawford Path to reach the summit of Pierce. 5.75 miles, 5 hours. Elevation gain 2595 feet. 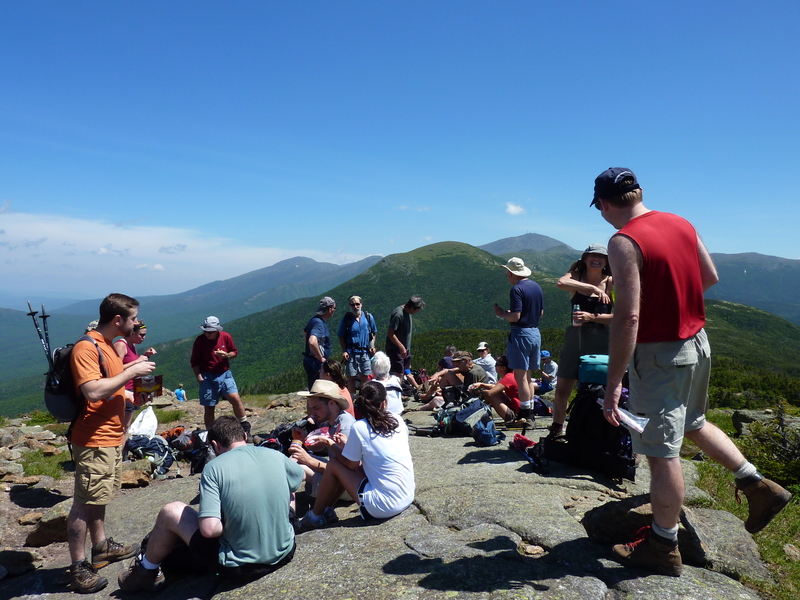 Summit of Pierce 4,310 feet. Temperature at summit 71 degrees. Gradually uphill, great cardio workout .